With the close of Passover, I imagine by now you have restocked your pantry with flour, baking soda, and your other baking needs. I eat my fair share of chocolate covered matzah during Passover but I’m still ready for a nice baked desert once the season of unleavened bread is over. 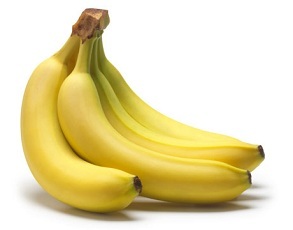 If you love bananas (or just have extras that are about to go bad) give this recipe a try. 1) Preheat oven to 300 degrees. Lightly grease bundt pan or two loaf pans. 2) Beat margarine, sugar, and oil in mixer for 10 minutes until creamy. Add eggs to mixture. 3) In separate bowl, sift the dry ingredients together. Stir dry ingredients to batter. 4) Add mashed bananas, raisins, and nuts to batter. Pour into pan. 5) Bake for 1 and 1/2 hours or until a toothpick comes out clean.